In recent years, handheld tablets have streamlined efficiency in restaurants with faster ordering and on-the-spot payment. Now, a new solution for the hospitality industry is about to take this evolution to the next level. Introducing Toast Go™ – a fully integrated handheld point of sale, custom-built for the restaurant industry. 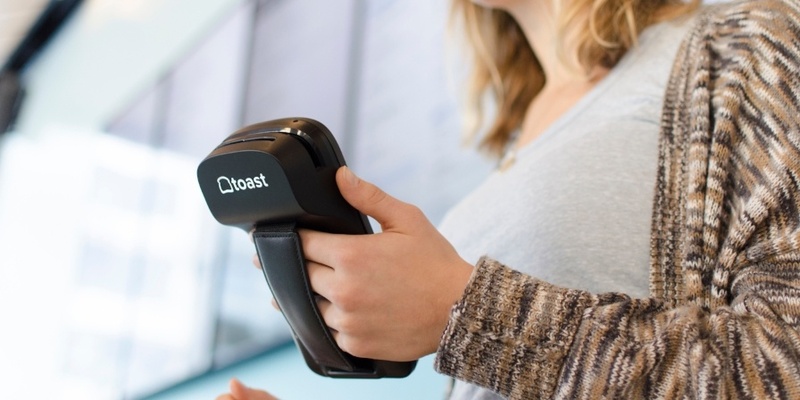 We built Toast Go because we believe the future of the restaurant POS is in your hand — literally. We’re excited to partner with restaurants everywhere to help delight guests by equipping staff with portable technology designed exclusively to maximize restaurant success. Handhelds have been an important part of Toast’s business from our first customer, Dwelltime (now Barismo). With the use of our handhelds, they balanced coffee and lunch counter service during the day and full table service on the weekends. Customer #2, Mei Mei, operated a food truck, so handhelds were a game-changer for them as well, as their POS was on-the-go just like their restaurant. Lastly, our third customer was primarily full service, but had a strong loyalty program, and told us handhelds and digital receipts increased their on-the-spot loyalty program sign-ups by 10x. This is when it struck me that these handhelds don’t just belong in the hands of servers in a dining room. I envision a future where all guest-facing restaurant employees have a POS right in their hand. When we were first building the Toast business, we made sure to research what we were getting ourselves into, and one finding really struck a chord with us. We found that the two biggest pain points for guests were waiting for their food and waiting for the check. A clear example of how handhelds reduce wait times. Eventually, we came to the conclusion that we could improve this solution even more with a tablet that was custom-built for the restaurant industry – one more portable, usable, and most importantly, powerful. This product has been six years in the making and we couldn’t be more excited to share it with you. Below, I go a bit more in depth on our vision behind Toast Go and how we see it helping your restaurant achieve success and delight your guests. As we’ve expanded our customer base from three to tens of thousands across all 50 states, we’ve seen our handhelds positively impact the restaurant experience for both restaurants and their guests. Diners find themselves waiting less for their food and for the check, while restaurants are seeing increased revenue and efficiency. 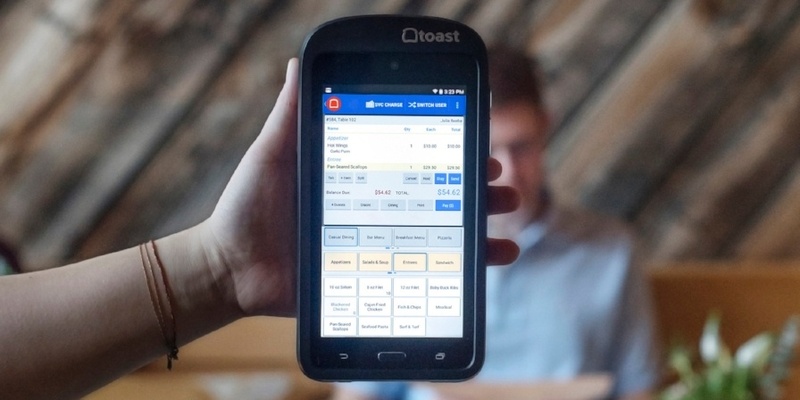 Let’s take a look at some statistics from restaurants using Toast’s handheld solution. A 20% decrease in ticket time at both Whisknladle and Park Burger. A 20% increase in revenue with handhelds, combined with Toast’s KDS, at O'Maddy's Bar and Grille. For O’Maddy’s, this equated to an additional $1 million annually. A $10,000 increase in revenue per week thanks to efficiency through handhelds at Via 313. An additional 50% decrease in table turn times during busiest hours at Via 313. A $7,000 increase in tips per server annually from the use of Toast Go at Odd Duck. I still remember a conversation with a server at Cafe Luna – one of our first customers near our office. She was so happy with us because she was going on vacation the next week with the extra tips she made from being able to serve more tables. We’re thrilled to see these restaurants provide better service to even more guests than they could have accommodated without handhelds. Not only are we helping restaurants thrive, we’re helping them delight their guests and create loyal, repeat visitors. When POS functionality is limited, sending an order to the kitchen can easily turn into a game of telephone. This means miscommunication and incorrect orders can define the restaurant experience instead of efficiency and clarity. With Toast Go, your servers can easily share modifications and allergy warnings with the kitchen right from Toast Go. Because Toast Go is fully integrated with the back of house, servers will always know which items are in or out of stock, so no more awkward conversations with guests having to explain that the dish they ordered is out of stock. But we wanted to put even more power in the palm of your employees' hands. With Toast Go, when an order is fulfilled, your servers get a notification on the handheld, so they can serve guests their food right when it's ready. The introduction of any new technology will have skeptics. Those who are not too keen on handhelds, in my experience, tend to hedge towards the idea that handheld tablets are a disruption to the traditional idea of hospitality. The idea of putting technology in between a server and their guests may appear unconventional, but at the end of the day, the purpose of Toast Go is to elevate the customer experience – and we’ve found that Toast Go blends in at upscale and casual concepts alike. How would you feel about your waiter using a tablet if it meant getting you your food faster? Would you be OK with your waitress using a tablet if it meant being able to pay for your bill as soon as you’re ready to leave? Would you feel comfortable with servers reading ingredient information off of a tablet to accurately answer your questions about the menu? I’d be eager to hear results from a survey like this; you might be surprised with the answers you hear. Remember, your idea of hospitality may be different than your guests. To your patrons, hospitality may mean efficiency and consideration for their time. If that’s the case, Toast Go is the perfect solution. The reality is that consumer preferences on restaurant handhelds are positive overall. Toast’s Restaurant Technology Report found that 61% of restaurant-goers agree that handhelds improve their dining experience. Toast Go combines software and payments on a beautiful device built to withstand the rigors of the restaurant industry. 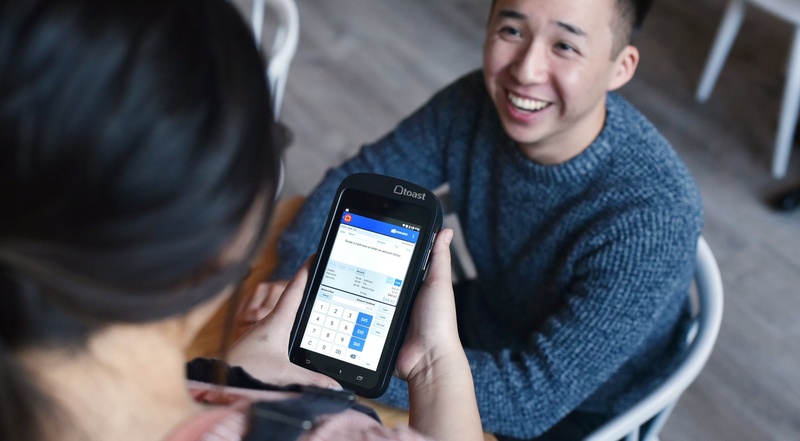 With a 40% longer battery life than iPad-based POS systems and a wifi chipset built to navigate restaurant networks, Toast Go is the handheld POS device that will revolutionize your restaurant operations. It's also spill- and drop-resistant. We want you to feel confident in the durability of these tablets and their ability to survive a day in the weeds and all the twists and turns it entails. I’ve also heard concerns regarding the potential theft of tablets. While shiny, silver, consumer-grade tablets may be appealing to someone with sticky fingers, Toast Go has little value outside of a restaurant. The hardware and software is custom-built for restaurants and offers no concrete use for a consumer or disgruntled employee, so you can be sure that the investment will not go to waste from theft. Toast Go in All Restaurant Concepts. Finally, it’s not lost on me that many see handhelds as an FSR-only tool. Plenty of restaurants – particularly those that aren’t full-service – operate under the assumption that a handheld is “not for them,” but this may not be true. At Boston cafe chain Flour Bakery, employees use Toast Go devices to shorten the line. The tablets are essentially used as another fully-functioning terminal to “line bust” – taking immediate orders and payments, speeding up the wait times for guests who get their coffees and pastries faster. Eventide, an upscale fast casual restaurant, sends employees out to the floor to ask guests if they’d like to order another drink or round of oysters, giving them another interaction with the guest after they’ve already paid for their food in line. We’re thrilled to finally be able to offer Toast Go to our new and existing customers. We honestly believe that we have crafted the best handheld POS solution for restaurants because we built Toast Go exclusively for the industry. The hardware is sleek enough to match your restaurant concept and slim enough to slip into a back pocket, yet durable, and it can increase your restaurant’s sales up to 20%. We know Toast Go will be a huge asset on your mission to do what you love, delight your guests, and thrive, and can’t wait to see one in your restaurant soon.